The grave of Daniel Defoe, his wife Mary and daughter-inlaw, at Bunhill Fields in Islington, close to the graves of William Blake and John Bunyan. The non-conformist cemetery is located across the street from John Wesley’s Methodist chapel. Defoe died in poverty and the grave was originally marked with a simple headstone. Following a public appeal the present memorial was erected in 1870. Since the 19th century Daniel Defoe has primarily been remembered as an author, in particular for his novels Robinson Crusoe, Moll Flanders and Roxana. His original ambition was to be a businessman but following bankruptcy, imprisonment and the pillory he transformed to a lonely and secretive writer of pamphlets and novels and a government spy. A committed Dissenter, he was highly opinionated, and during his lifetime was better-known for several of his satirical pamphlets, which often led him into trouble. Daniel was the son of James and Alice Foe of the parish of St.Giles in Cripplegate, most likely born in 1660. His father was a tallow chandler and member of the Butchers’ Company in the City of London and Alice died when her son was still young. Daniel grew up in a moderately prosperous and devoutly religious household and was instilled with a Protestant work ethic from a young age. Those earliest years in London were a turbulent time and one of momentous historic events as the Commonwealth period ended and the Restoration of Charles II took place. As non-conformists Daniel’s early years would have been difficult ones for the Foe family, following the introduction of the Clarendon Code that set many limits on the lives of Dissenters. As he reached five years of age London suffered from the Great Plague, which in his old age he was to document in the semi-fictitious A Journal of the Plague Year. The following year the City was all but totally destroyed in the Great Fire but their house was one of only three in the neighbourhood still left standing after the devastation. Daniel certainly would have watched as the new City was rebuilt around him during his youth. In 1670 Daniel’s father sent him to a school for non-conformists at Dorking run by Dr.James Fisher. He was also known to have attended the academy of Charles Morton at Newington Green, at that time a village several miles north of London. Unlike the other great literary men of his age – Jonathan Swift, Alexander Pope, Richard Steele, John Dryden and Joseph Addison – Defoe never received a formal classical education and therefore always remained an outsider, unable to comfortably mix with his contemporary writers. Daniel began his career in 1681 as a wholesale hose-factor in the City, trading in hosiery for men and women. His garments were manufactured around the countryside, requiring him to travel far and wide. He set up both home and warehouse in Freeman’s Yard at Cornhill, a district of clothes merchants that was also close to Drapers’ Hall and a non-conformist meeting place. In 1684 he married Mary, the daughter of a wealthy cooper who owned a barrel-making business, and their marriage brought them a large dowry of three thousand seven hundred pounds. They had six children between 1687 and 1703. If Dissenters felt threatened during the reign of Charles II they believed it would get even worse when his brother James came to the throne. When James’s illegitimate nephew, the Duke of Monmouth, landed in Devon in November 1688 it seems Foe rode west to join the rebel army. The rebellion was thwarted at the Battle of Sedgemoor and Daniel was extremely lucky not to be rounded up with the other perpetrators, tried by Judge Jeffreys and hanged. 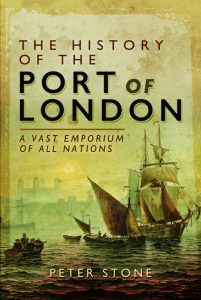 He never publicly acknowledged his involvement – it only came to light because he received a pardon in 1687 from William III – but wrote an apparently fictional account of it in his later novel Captain Jack. King James sought ways to repeal anti-Catholic laws and, in order to do so, looked for support from non-conformists. As a warning to his community to beware of false hope Foe published his first political pamphlet in 1687 in the form of a fictitious letter. It was a great relief to non-conformists when William of Orange landed in the West Country and James II fled the country. Although there is little knowledge of how and why, it seems Foe had the acquaintance of the new King and Queen and visited them at their new homes at Hampton Court, Windsor Castle and Kensington Gardens.